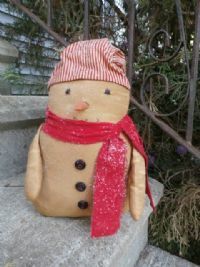 This little this snowman is about 12" tall made from aged flannel. 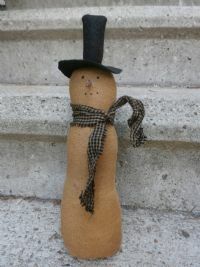 He is wearing a black felt top hat and black and white check scarf. Love this guy. 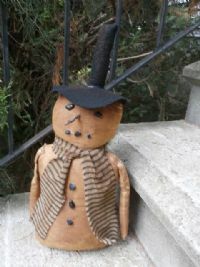 He is about 21" tall . Made from Grunged flannel with a front pocket that is filled with twigs. Black top hat and black scarf. 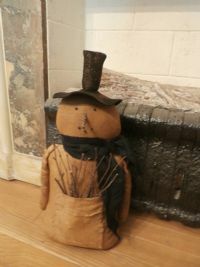 Grungy snowman with black ticking scarf. Black coal down tummy. Weighed to stand 20"